The dual pack ViewSonic® VA2452Sm_H2 is exclusively designed for corporate users in need of high-performance desktop displays with easy deployment and mounting capabilities. Sold as a dual pack without monitor stands, the VA2452Sm_H2 requires less packaging for a reduced environmental footprint, while still providing VESA compatible mounting for easy installation. With ViewSonic SuperClear® MVA panel technology and 3000:1 static contrast ratio, this monitor delivers an incredible front-of-screen work experience at nearly any viewing angle. Versatile input options include future-proof DisplayPort, as well as DVI and VGA inputs, for productivity-boosting connectivity to PC systems, laptops, and other work devices. ViewSonic's exclusive ViewMode feature provides intuitive presets that deliver optimized screen performance in different applications. In addition, Flicker-Free technology and a Blue Light Filter help to eliminate eye strain from extended viewing periods for improved productivity. 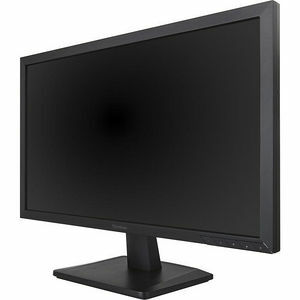 Lastly, a 3-year limited warranty, along with one of the industry's best pixel performance policies, provides great value for the high-performance VA2452Sm_H2 dual monitor pack.